Offering sporty designs, high-quality features and exactly what every sports enthusiast wants, SKYLOTEC has become a key partner for ambitious mountaineers. Top quality products guarantee style, function and safety. SKYLOTEC benefits from established expertise and years of experience in industrial fall protection, which it also applies logically to its mountain sports collection. The advantages are obvious: our expertise in industrial applications guarantees sports enthusiasts an incredibly high level of safety. In many cases, our products go way beyond the required standards in the sport. 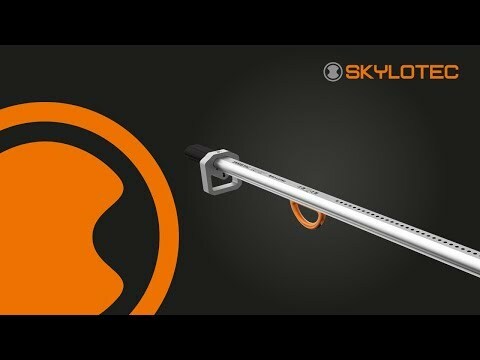 SKYLOTEC is constantly coming up with new innovations and achieving ground-breaking safety standards in industry and then applying these to the sports sector. "Industry-born. Sports-driven." The best of both worlds.